You might have fond memories of sharing a Coca-Cola with a special person, but those memories probably involve a glass and two straws. 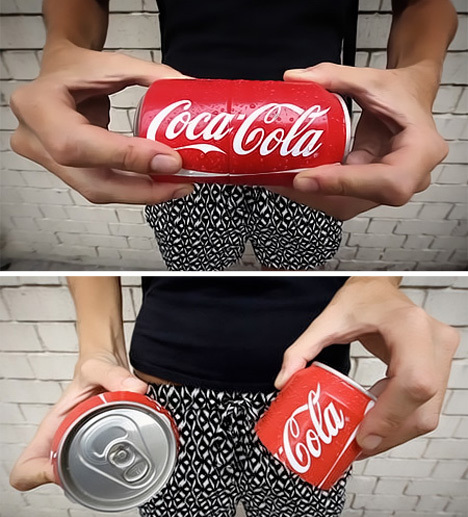 This clever marketing campaign lets you split your Coke can right in the middle to share it easily. 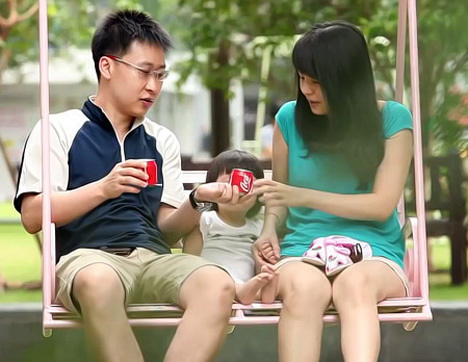 The “Sharing Can” is a clever design that allows you to split apart a normal-size Coca-Cola can with a simple twist. 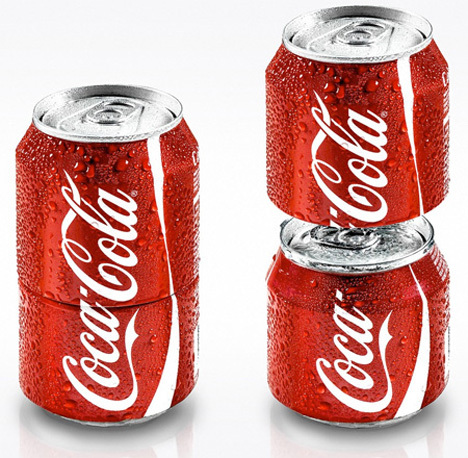 The top and bottom halves separate, giving you two half-size Cokes – one for you and one to share. The design is simple but clever along with being visually striking. These cute little cans would be the perfect conversation starter for getting to know someone. Splitting your Coke with someone else would also be better for your health than drinking a whole can on your own. Unfortunately, we won’t be seeing them in stores or machines anytime soon. The “Sharing Can” was a limited-time campaign in Singapore.